ITALY – Stem cells and multiple sclerosis. Expert warns against uncontrolled treatment advertised in foreign countries | "Latest Stem Cells News"
“Gianvito Martino, the head of the Neurosciences division at the Institute of San Raffaele in Milan in a speech at Multiple Sclerosis Week, which took place from May 23-31, warned against “trips of hope to clinics that promise effective treatments using stem cells”. These stem cell clinics are found in various countries all over the world, including China, Thailand, the Dominican Republic, Manila, and Barbados. 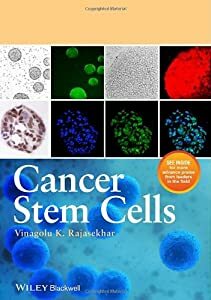 “They assure 40%-50% effectiveness and that they are able to treat any type of problem, from baldness to Alzheimer’s as well as muscular sclerosis, but they do not say anything about the type and quality of stem cells that they use. They use the placebo effect to indicate very few positive outcomes, but in the end, no one knows what is responsible for the cures.” Martino thinks that in many cases patients are given water instead of stem cells, or cortisone in order to give a few days of perceived improvements and to feed the illusion. PROTECTIVE EFFECT ON BRAIN BEING STUDIED- Stem cells could represent a new opportunity to treat diseases like multiple sclerosis. Soon they will be used in testing since they are the target of many different research teams in fighting this debilitating disease. Among these is a research team at the scientific university institute at San Raffaele in Milan led by Martino, which has been working for years to understand if it is possible to use stem cells to cure diseases that strike the central nervous system with a strong inflammatory reaction provoking progressive and irreversible destruction of nerve tissue with extremely serious results (muscular sclerosis). Martino spoke about the state of the research today in Milan at a presentation for National Multiple Sclerosis Week, a disease that strikes mainly young individuals between the ages of 20 and 30 and women. During the meeting, the new campaign to raise funds for the Italian Multiple Sclerosis Association (AISM) was presented. ‘Fastforworld’, a request to support AISM’s activities, is directed at private citizens and businesses to “speed up research efforts”. In an experiment conducted on mice, the scientists at San Raffaele observed “nerve stem cells protect the central nervous system from damage that is typical of multiple sclerosis, acting as powerful natural ‘pharmaceuticals’,” explained Martino. These studies, warned the expert, “have given positive results in laboratory animals, but there are still many unknowns and it is necessary to reduce risks and avoid that patients unknowingly become victims of uncontrolled experiments.” The turning point will be transferring the results obtained in the lab to human beings. San Raffaele should start on this long journey in the next few months. 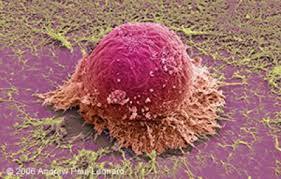 They will first have to demonstrate that these stem cells do not put the patient at any risk. Once their safety has been proven, a study on the efficiency of the therapy will begin. Stem cell clinics in the Dominican republic.